After the members of The Church of Jesus Christ of Latter-day Saints had been in the Salt Lake Valley about ten years, many other people were also beginning to travel and settle in the West. Development and progress swept through the Utah Territory and the Saints began feeling pressured and threatened once again. Some felt there was much unrighteousness among the Saints which needed to be weeded out. Others felt they were already being punished for wickedness among them through such manifestations as a crop destruction in 1855. Many Saints felt there were more hardships coming and that they needed to prepare for them. All of these things were factors in the Mormon Reformation of 1856–57. “The Church needs trimming up, and if you will search, you will find your wards contain branches which had better be cut off. The kingdom would progress much faster, and so will you individually, than it will with those branches on, . . .
“I would like to see the works of reformation commence, and continue until every man had to walk to the line, then we would have something like union, . . . Purify yourselves, your houses, lots, farms, and every thing around you on the right and on the left, then the Spirit of the Lord can dwell with you” (Journal of Discourses, 26 vols., Liverpool, 1854–86, III, 60–61). With the threatening approach of a Gentile society pressing in all around them, many Mormon leaders felt it a necessity to rededicate the Church’s members to righteousness or to have them leave the Church altogether, if they were unwilling to live up to the Church’s standards. Both through public preachings and through private catechizing, members rededicated themselves to the building of God’s kingdom on the earth through being rebaptized. Many who would not live up to a higher standard were thrust out of membership. “In general the effect of this movement was to arouse the people to new religious consciousness, but for some who had lived through the persecutions of Missouri and Nauvoo and whose covenants included a hope that God would avenge the death of the Prophet and the sufferings of His Saints, the Reformation served to encourage fanaticism. It also helped to cement their group solidarity and make them feel that Zion must stand together against the sins of the world. “In awakening the Saints to their duties, the Reformation also seemed to set them more directly against the government officials who, they felt, were ruling without consent of the governed. Thus frictions were aggravated and tensions became more strained” (Mountain Meadows Massacre, Stanford, 1950, 8). “Observing cleanliness in their persons and dwellings, setting their families in order, carefully cultivating their farms and gardens, and not to feel so anxious to have more land that they could not attend to themselves; to gather into and build up the fort and settlement, and concluded by praying that all those who did not feel to do right might have their way opened to leave the people and Territory, and that those who did not come forward and do their first works [be rebaptized], let them be unto you as heathen men and publicans, not numbered among the Saints” (Deseret News, September 24, 1856). “We need a reformation in the midst of this people; we need a thorough reform, for I know that very many are in a dozy condition with regard to their religion; . . .
“You are losing the spirit of the Gospel, is there any cause for it? No, only that which there is in the world. You have the weakness of human nature to contend with, and you suffer that weakness to decoy you away from the truth, to the side of the adversary; but now is the time to awake, before the time of burning. . . . notwithstanding all that has been taught, still the people are full of idolatry, the spirit of contention and the spirit of the world . . .
“Well, I just say, my brethren and sisters, it cannot be suffered any longer, a separation must take place; you must part with your sins, or the righteous must be separated from the ungodly” (Journal of Discourses, IV, 45, 52). “About a week before we arrived, a work of reformation had been efficiently started, and we were just in good time to share its cheering effects with the people. As good an evidence of this as I can offer, may be found in the fact, that on Sunday and Monday, at a conference of the Territory, it required strong efforts of the Presidency and others, to raise between fifty and sixty teams to go and bring in our brethren coming by the hand-carts on the Plains; whereas, on the last Sunday but one, a few remarks from brother Kimball to a congregation of this city only, induced one hundred and fourteen to give their names to furnish teams, and one man put down fifteen yoke of cattle. The change in the feelings of the people is indeed wonderful already, and yet it has but just begun. Bishops are dropped, and their counselors, when slothful at their duties, or when ruled by their wives, so are the Teachers, if they did not perform their duties, which are, to know every man and woman in their several districts, and to live their religion themselves. Misdeeds are not only publicly denounced but the doers and their deeds are named before the public congregations. . . . A thorough waking up has commenced, that must reach the habitation of every Saint in Utah, and then extend to every Mission and Branch of the Church throughout the earth. Therefore, dear brethren, cry aloud, and spare not, show unto the people the awful consequences of sin, that they may obtain strength from God, to keep His commandments, and sin not” (Quoted in History of Utah, 1847–1869, Andrew L. Neff, Salt Lake City, 1940, 548–54). Have you shed innocent blood or assented thereto? Have you betrayed your brother? Have you contracted debts without prospect of paying? Have you labored faithfully for your wages? Have you coveted that which belongs to another? Have you taken the name of the Lord in vain? Do you preside in your family as a servant of God? Have you paid your tithing in all things? Do you teach your family the gospel of Salvation? Do you speak against your brethren or against any principle taught us in the Bible, Book of Mormon, Book of Doctrine & Covenants, revelations given through Joseph Smith the prophet and the Presidency of the Church as now organized? Do you wash your body and have your family do so as often as health and cleanliness require and circumstances permit? Do you labor six days and rest or go to the house of the Worship on the seventh? Do you and your family attend ward meetings? To stop ward teachers and missionaries from becoming self-righteous and condescending in their duties of catechizing ward members, they were given instructions to tell the ward members to make restitution for their sins to those they had injured and to their bishops, if necessary. Those administering the questions were instructed to not pry into sins which were personal and between and individual and the Lord. Another forerunner to and part of the reformation was the re-institution, in part, of the Law of Consecration, which the Saints had been given while in Ohio and Missouri, but which they had failed to live fully. Now the Saints were strongly encouraged to sign over all their deeds to the Church in order to help build the Kingdom of God and to bring them closer together in unity. About one-third of the Saints did this between 1855 and 1856, including Brigham Young, who signed over $199,000 in property to the Church (“The Mormon Reformation,” Gustive O. Larson, Utah Historical Quarterly, vol. 26, 47–48). Much focus was placed on sins of chastity and fidelity during the reformation as well. Anti-Mormons continued to attack the Mormon practice of polygamy and accused the Mormons of all kinds of immorality. However, since so much emphasis was placed on these sins in the reformation, the misconceptions already held by the anti-Mormons seemed to be confirmed. Church leaders were more concerned with purging the Saints of sins, however, and the reformation seemed to accomplish its goal. 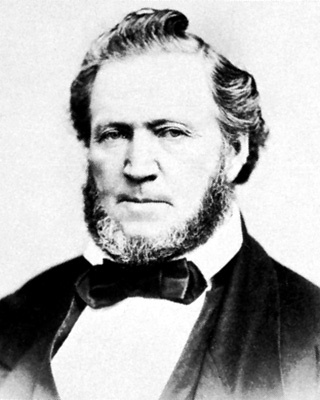 During its peak, the reformation reached all areas of life and, near its end, Brigham Young declared that its effects had lifted a huge burden of care from his shoulders. Most of the Church membership had been rebaptized as a sign of their recommitment to living the gospel. Some people had been excommunicated for refusing to repent of their sins, and others had left the territory. The practice of rebaptism slowly died out and now is only permitted in the Church for members who have been excommunicated, have gone through the repentance process, and wish to be readmitted as members of the Church. Though the reformation had ill effects as well as good, the net effect was to encourage a higher standard of living among the Saints. They needed to set themselves apart from the world in order to survive as a group when non-Mormons began settling in the Utah Territory. Though there were definitely some fanatical areas and people involved in the reformation, it was intended for good, and Church leaders felt it accomplished its purpose. “The Mormon Reformation,” Gustive O. Larson, Utah Historical Quarterly, vol. 26, 45–63.